Although only tradition and legend suggest that a church existed on this site as early as the late 5th century, some documentary evidence indicates that a monastery was on this site at the beginning of the 11th century. In 1030 part of the church collapsed and later in 1042, the Viscount of Lomagne set fire to the monastic buildings. Maurice Scellès explains that after Durand de Bredons became Abbot of Moissac in 1048, the property of the monastery was recovered and with its affiliation to the Cluniac order, new building projects were initiated including a new church, consecrated in 1063, and the cloister, finished in 1100. Durand was named Bishop of Toulouse in 1059 and the influence of this outstanding cleric made Moissac one of the most prestigious abbeys in France. This abbey became a major stage on the via Podiensis, one of the major pilgrimage routes to Santiago de Compostela. See Ste. Foy at Conques as well. Not only is the abbey known for its incredible sculptural program, illustrated on these web pages, but in the medieval period in the scriptoria the scribes and illuminators were creating manuscripts of great beauty and fame. This wealthy and important monastery had its greatest influence during the 11th and 12th centuries. M. F. Hearn. 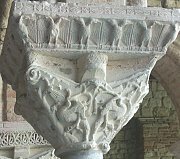 Romanesque Sculpture: The Revival of Monumental Stone Sculpture in the Eleventh and Twelfth Centuries. Ithaca, NY: Cornell UP, 1981. Scellès, Maurice. Visiting Moissac Abbey. Éditions Sud Ouest, 2000. [official guidebook] Meyer Schapiro. 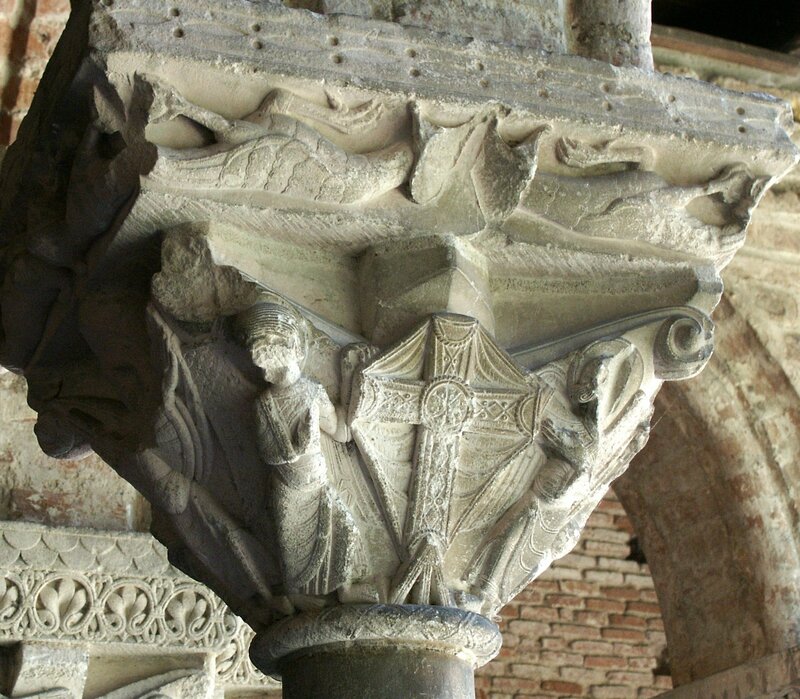 The Sculpture of Moissac. NY: Braziller, 1985. M. Alison Stones. Extensive medieval website.